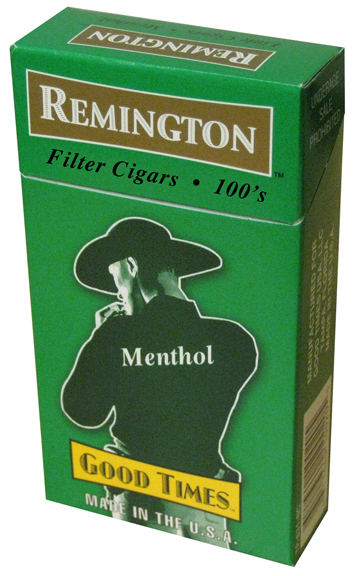 One Carton Remington Filtered Cigars Menthol 100 Box. 200 filtered cigars packed 20 Cigars to a Box-Pack, that adds to your enjoyable smoking experience. I've been buying Remington Menthol locally for 3 years. When I saw the great price on these, I had to try them. Received them faster than expected. Pleasant surprise, they were fresher than any I had ever tried. Great flavor, easy draw. I will be buying them here from now on. ITS A GREAT TASTE CIGAR AT AN EXCELENT PRICE...I LOVE IT.. They have a good flavor and are not dried out but a few of the packs when we opened them a couple of the cigars tips where damaged otherwise they are OK.
Excellant service and fast shipping and the price is very low. I have been purchasing Remington little cigars and enjoy smoking them. I look forward to continue ordering from good trading.